On this episode of Legends of the Panel Podcast, Mr. Chulak is away from the studio again so it is up to KJ and the Lady Archer to wander the mystical world of the Princess Bride... I mean Deadpool... WAIT WHAT??? That's right we talk about all things Ryan Renolds and the idea of a PG-13 version of the Merc with the Mouth. We talk about what we think happened in that meeting which didn't turn into a copyright lawsuit. Speaking of Lawsuits, we follow up on the Creepy Adventures of ... See More Sabrina, and the settlement (undisclosed) between the Satanic Temple and the series over the image of a winged man-goat... You've seen one Angel-man-goat you've seen them all right? We then close the show off with a tribute to all things Anime with Mr Chulak's favorite Cowboy Bee-Bop which is getting a live action Netflix series. Well they need something since Disney is extracting themselves and their library faster than 45 can tweet political career ending... oh wait we want to continue podcasting. Thank you for continuing to support Legends of the Panel and the other shows on the Geek Culturecast network. 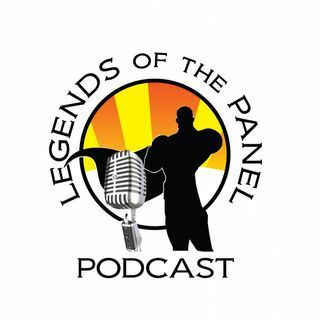 We want to hear from you, so leave us a review on iTunes, or reach out to us on our twitter account @legendspanel. Follow us on Twitter or in instagram @legendsofthepanel Don't forget you can find all of our backlog episodes and other shows by going to www.geekculturecastnetwork.com.